Ohio uses a carrot and stick approach to encourage employers to maintain safe workplaces. 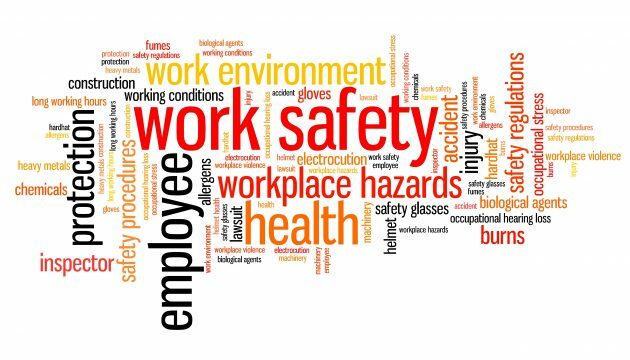 The BWC and IC promote safe working conditions and provide hundreds of resources to employers on how to operate their businesses in a safe manner. Employers are rewarded with lower workers’ compensation insurance premiums for having a good safety record. However, if lower insurance premiums do not get the employers’ attention, then a VSSR award in a compensation claim may well do the trick. To establish the basis for a VSSR award, the employee must show: 1) an applicable and specific safety requirement was in effect; 2) the employer failed to comply with the specific safety requirement; and 3) the employer’s failure to comply was the proximate cause of the employee’s injury, disease or death.If a violation is found, Article II, Section 35 of the Ohio Constitution empowers the IC to award not less than 15% nor more than 50% of the maximum compensation rate for the year of injury ($902/week for 2017). In determining the amount of the award, the IC considers such factors as the egregiousness of the violation, the employer’s safety record, and the severity and extent of the employee’s injury. A VSSR award is calculated on the maximum rate of all forms of compensation for the year of injury, applies to all compensation paid over the life of the claim and is payable directly by the employer. In addition to the VSSR award in the particular claim, R.C. 4121.47 authorizes the IC to impose a civil penalty of up to $50,000 against any employer that has had two or more safety violations in a 24 month period. If the violations take place at the same location, the violations need not be of a similar nature to impose the civil penalty. An employee has two years from the date of injury or disability in which to file an application requesting a VSSR award. The application is assigned to the Bureau’s Safety Violations Investigation Unit (SVIU) for investigation and preparation of a report. Following the receipt of the investigation report, the Commission schedules the claim for a pre-hearing conference at which time a final merit hearing is scheduled. While many of Ohio’s specific safety requirements are similar to OSHA’s requirements, there are important differences. As an Ohio employer, it is incumbent to review your safety program and comply with the specific safety requirements applicable to your particular industry contained in the Ohio Administrative Code. Should one of your employees be injured because of a violation of an applicable specific safety requirement, the resulting liability could be devastating.